OOOOOOIE! Have you ever seen a hat so fresh?! 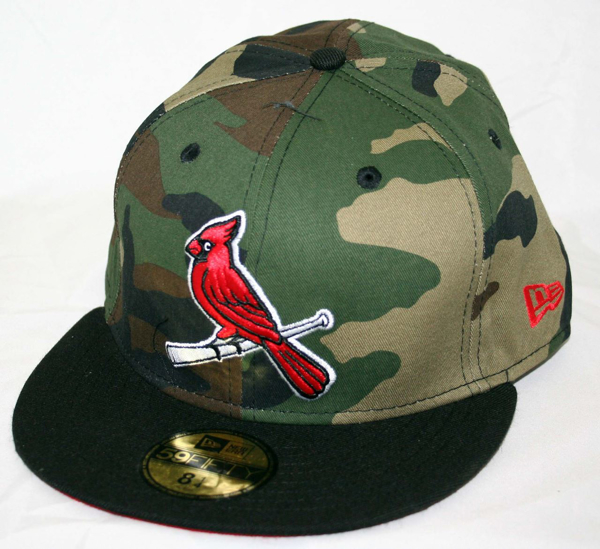 Rep the St. Louis Cardinals Camo hat with this exclusive New Era 59Fifty como hat with the Cardinal bird in red. Stay fresh Cardinal fans. Give your beloved St. Louis Cardinals a sweet shout out! Every fan needs a cool hat to rock on game day, and this League Basic 59FIFTY from New Era is just what you need to show that team spirit as they dominate the field! It features big bold St. Louis Cardinals graphics that you'll wear with pride every time they play!